Can moral decisions be quantified? 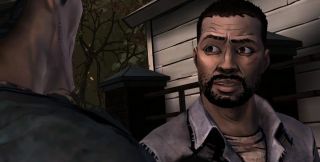 Telltale continues to put out these little statistical recaps preceding the release of new The Walking Dead episodes. This one, covering the major decisions made by players in Episode 4 (penned by former PC Gamer Editor-in-Chief Gary Whitta), paint a slightly-reassuring picture of gamers as a group that won't necessarily doom their common man at the first opportunity. Watch on, but only if you're comfortable having Episode 4 spoiled well and spoiled hard. Episode 5: No Time Left should be out this month.